The second day of the 220th meeting of the American Astronomical Society (AAS) started close to home, then quickly took off for the farthest reaches of the universe. Oh, the power of astronomy! With my faith in the power of science newly boosted, I took advantage of one of my favorite activities at these conferences: the poster sessions. The discoveries on display aren’t always as dramatic or profound as the major lectures, but the sheer number of them allows the casual fan to walk out and search the most personally interesting stuff. And, best of all, the lead authors are typically there to answer questions and talk about the data. Yesterday, I’d bumped into Dean Pesnell, project scientist for the Solar Dynamics Observatory, who was excited about images showing off the death-defying trip of Comet C/2011 W3 (Lovejoy) past the Sun. This morning, I chatted with Alexandra Truebenbach (pronounced just how it’s spelled) of Wesleyan University in Middletown, Connecticut, about her poster “The Central Stellar Structures of Active Galaxies: Insights into Galaxy–Black Hole Coevolution.” The main insight is that galaxies don’t need a bulging center to house an active supermassive black hole, contrary to previous opinion. I then found myself in “brown dwarf alley,” an area focusing on the weird objects (part supergiant planet, part supercool and tiny star) with posters by several students from the same group at the University of California, San Diego. Amelia Christensen’s poster, “L-Dwarfs in the Catalina Real Time Transit Survey: Freaks and Beats” immediately caught my eye because of both the cool science on it and the distinctive and familiar display itself. Christensen explained that her research, which looked at a large sample of a subset of brown dwarfs and the clouds that could condense on them, just inspired a look similar to the famous science webcomic xkcd. (She also said two emails to the xkcd people had gone unanswered. That’s too bad — from what little I know of the comic’s writer, he’d love it!) Next, Daniella C. Bardalez Gagliuffi talked to me about the unexpected triple system discussed in her poster, “Discovery of an Old, Wide, Very Low Mass Triple System with Late-M and T Dwarf Components.” By studying a target’s light using spectroscopy, she was able to recognize it as a binary system, which was later confirmed (and turned out itself to be part of a triple system, with another star orbiting much farther from the central couple). Remarkably, all three stars had a combined mass just about a quarter of our Sun’s! I also learned Gagliuffi and I had an alma mater in common, so it was fun to chat about going to school out east for a while. Next up was a press conference coyly titled, “A matter of some gravity.” It was billed as critical look at the usefulness of Einstein’s theory of gravity in a universe that is about 96 percent unknown (thanks to dark energy and dark matter). One of the speakers, Stacy S. McGaugh of the University of Maryland in College Park, said he’s been “disappointed” with progress on the two dark phenomena. “Every five years, we’re told [a breakthrough will happen] ‘five years from now,’ for 25 years,” he said. “It gets old!” That’s about as far as discussions of Einsteinian gravity got, somewhat anti-climactically, but the next speaker’s controversial talk was interesting enough to make up for it. Gerrit L. Verschuur of the University of Memphis in Tennessee described work he’d done on the relationship between Wilkinson Microwave Anisotropy Probe (WMAP) data and nearby galactic structures. “It’s a cause for nightmares,” he said, because he so often questioned his results. 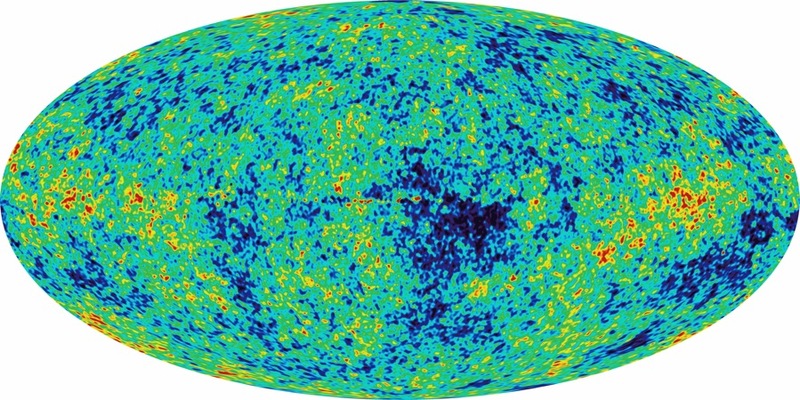 But now he’s confident in a result he says cosmologists won’t like: Instead of revealing the small-scale features in the distant and prevalent cosmic microwave background, the currently accepted WMAP “map” instead shows the distribution of nearby (within 300 light-years from us) interstellar hydrogen. If true, it’s a discovery that would drastically alter the data’s cosmological interpretations. Coming back to Earth for my lunch (a reindeer sausage sandwich, because how often does that opportunity arise? ), I went back to the depths of space with a special session titled “Kepler’s Future; the Road to Eta-Earth,” all about the orbiting planet-hunting telescope. There ended up being quite a bit of technical shop talk from the various speakers, detailing how to reduce “signal distortion” and “improving the pipeline” and so on. The upshot is that, through various software and modeling improvements, Kepler is going to be even better than ever, which is saying a lot considering its already prodigious results (2,321 planetary candidates and counting). Andrew Howard of the University of California, Berkley, piqued my interest when he described the increasing evidence that smaller planets (a few times Earth’s size) are common throughout the cosmos. And Jason Steffen of Fermilab in Batavia, Illinois, made me feel a little bad for hot Jupiter-type planets, which apparently are in “a very lonely situation,” due to a lack of companion planets in their systems (like almost all other types of planets). Because of this finding, Steffen also suggested that the formation of hot Jupiters came about from “violence and mayhem,” where the huge worlds bounce smaller planets out of the system. So, I guess they brought the loneliness on themselves? After hearing about the far-off and concrete, I next caught a couple of talks about the nearby and energetic — namely, cosmic rays. Up first, self-professed “local yokel” Katherine Rawlins of the University of Alaska Anchorage spoke about “Measuring Cosmic Rays at 1 PeV and Above.” Basically, it was the experimental part of the “double feature,” as Rawlins put it. She went over the various ways to study the most energetic of cosmic rays and the latest advances in detection, spending a little extra time with ground-based detectors (in particular the IceCube Observatory in Antarctica, which Rawlins works with). She compared these imperfect methods to calling in a forensic team for a crime, rather than catching the culprit directly; one slide even featured the description, “CSI: Cosmic Rays.” For the second, theoretical part of the double feature, titled “The Plasma Physics of Cosmic Rays,” Ellen Gould Zweibel of the University of Wisconsin-Madison described a more fundamental, physical way to understand the enigmatic phenomenon. “We can describe cosmic rays as a fluid,” she said, and had slides and slides of physics to back her up — I’m inclined simply to trust her. This approach implies that cosmic rays are at least partially responsible for galactic winds and even galactic structure. Lastly, the “exotic space” theme of the day culminated with the second and final public talk, simply titled “The Accelerating Universe,” by Nobel laureate Brian P. Schmidt of the Australian National University in Canberra. Who better to explain to the non-scientist the details (including a few behind-the-scenes stories) and significance of finding out the expansion of the universe is, shockingly, accelerating? Often asked if he had a “Eureka!” moment when realizing this unexpected result, Schmidt said in fact his reaction was, “Wow, we have made a major error.” Nicholas B. Suntzeff of Texas A&M University in College Station introduced Schmidt, and set the tone for the evening by revealing that Schmidt is the “only Nobel laureate that has worked at Chuck E. Cheese.” The large audience, full of kids and teenagers, laughed at the thought, and Schmidt’s casual exposition and unusual comparisons kept everyone amused all night. (At one point, Schmidt said he voted against “demoting” Pluto “for no particular scientific reason"; cue the applause.) Cosmology — the fate and birth and shape of the universe, and the drive to figure it all out — is not a subject for the weak to take on, but Schmidt explained it all clearly and interestingly, and it was obvious the audience loved it. Hooray for the universe! Thus ended day two of the AAS summer meeting. But just as I’m starting to get the hang of everything (except daylight at 1 a.m.), it’s nearly time to go. Tomorrow, Wednesday, will be the last full day of the conference, packed with more talks, lectures, sessions, and capped off with a spacey film screening. How chic! (Thursday will also have some activities, but not for the full day.) And of course, I’ll keep tweeting the latest info (#AAS220) if you can’t wait to hear about it in my next blog post.